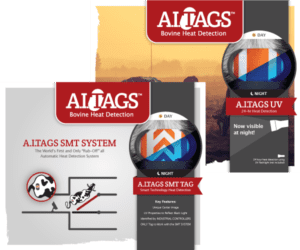 A.I.TAGS SMT SYSTEM is the world’s first and only “Rub-Off” all automatic heat detection system. 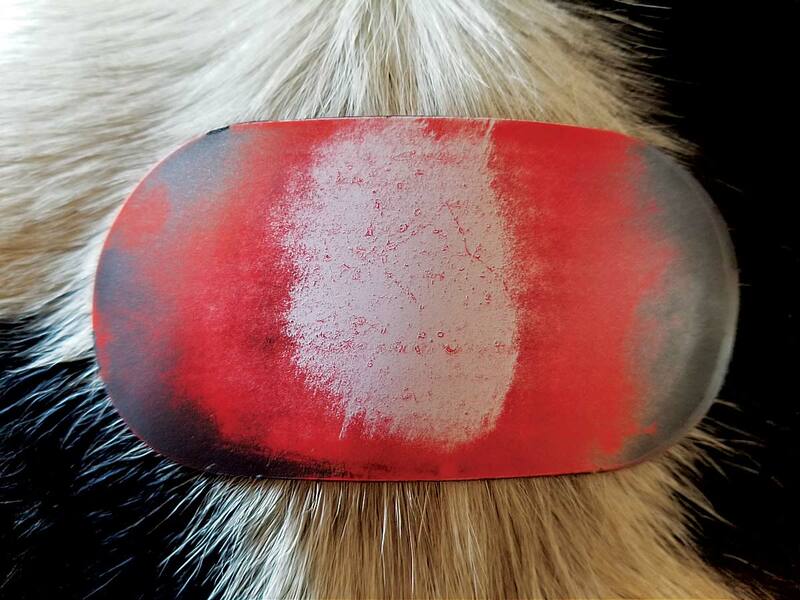 Ideal placement of A.I.TAGS is between the hip bones and tailhead area. 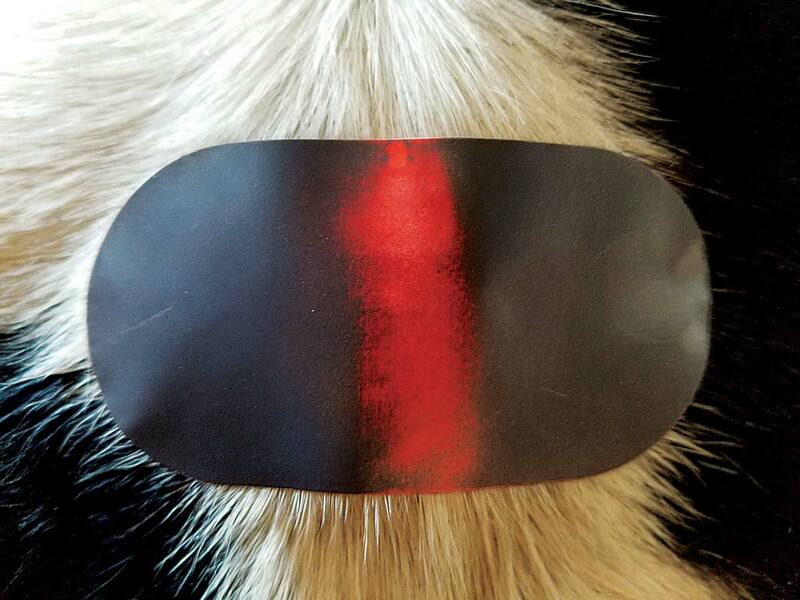 Protect A.I.TAGS from tail swatting with increased fly populations. 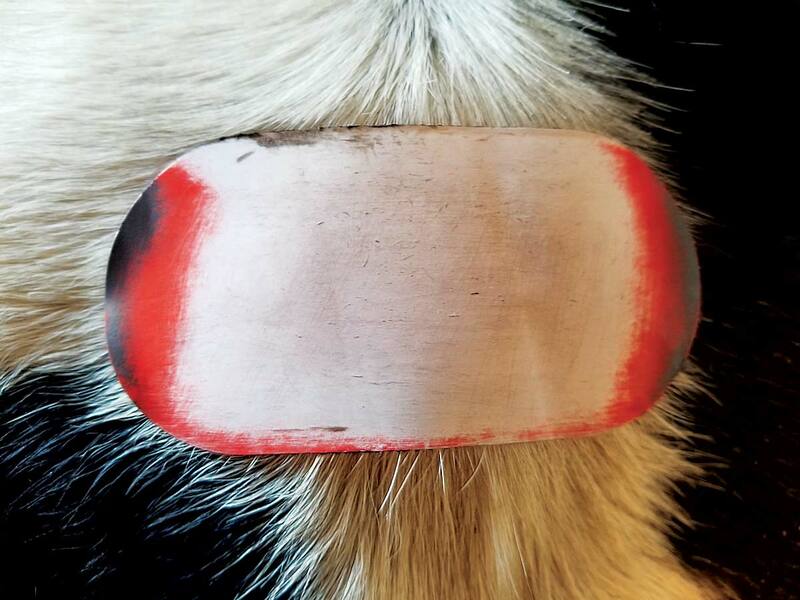 Place the tag where the tail cannot reach it, closer to the tailhead. 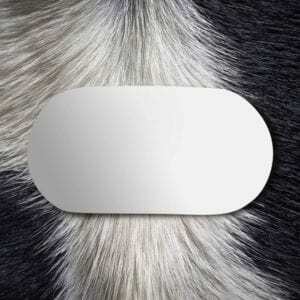 This will also eliminate the ends of the tags from lifting because of tail rubs. 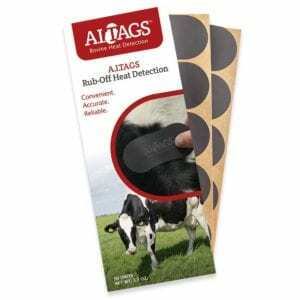 A.I.TAGS tags are an excellent aid for dairy and beef producers in detecting cows in “mounting-heat”. 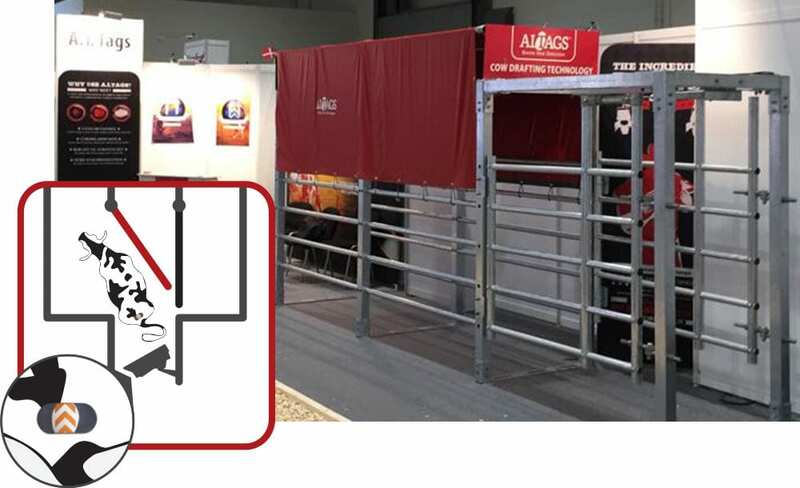 Apply the detectors to your cows prior to “coming into heat” when synchronizing estrus cycles or after breeding and embryo transplant to check for return heat. 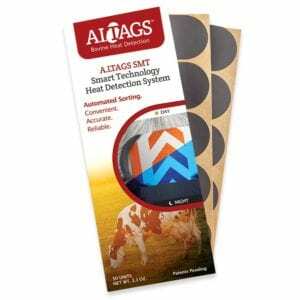 A.I.TAGS original rub-off heat detectors - available in 4 bright colors. 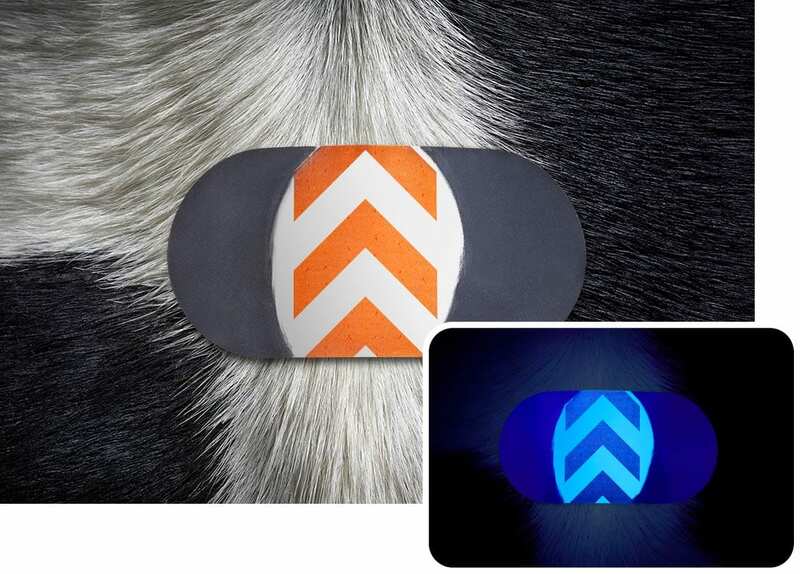 Insemination guides under the images above are a suggestion only. 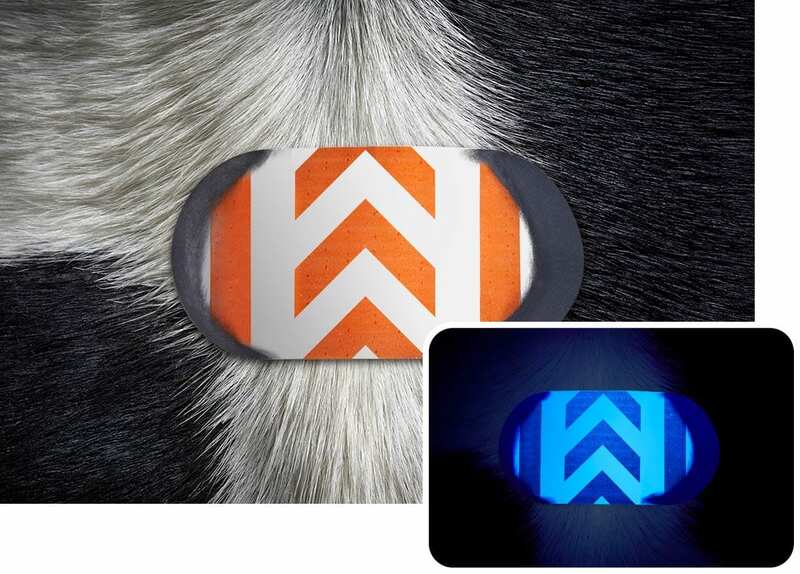 They are intended only as a guide on how to best use A.I.TAGS. 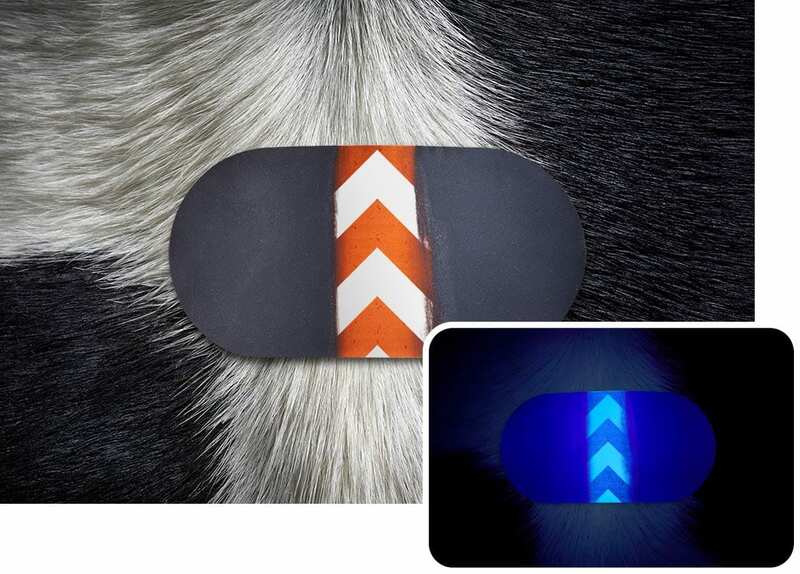 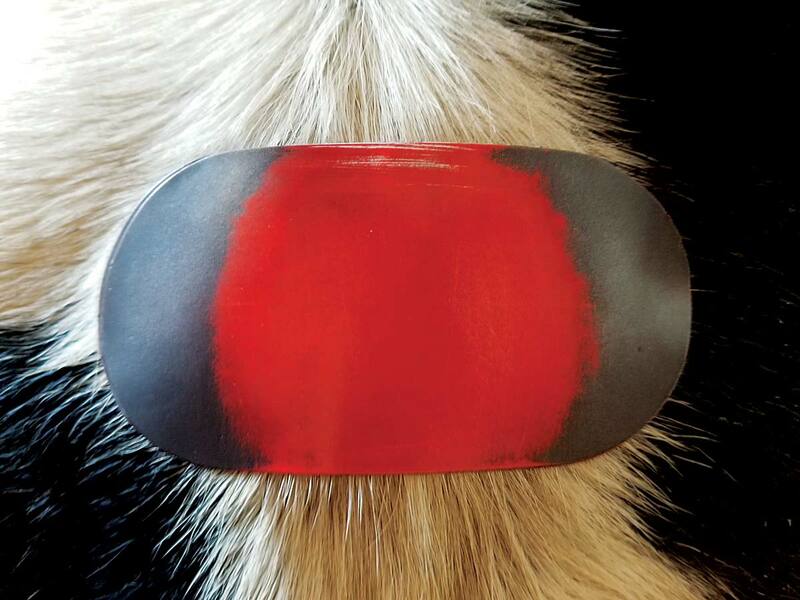 A.I.TAGS SMT are the only bovine heat detection tags in the world that reflect UV light! 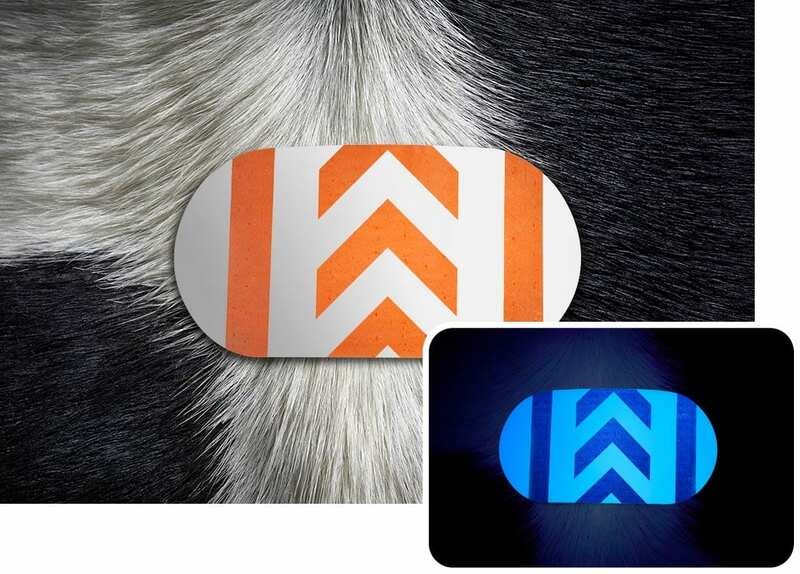 They are the brighter than any other tag used today.